Spring sports are just getting underway at Durham Academy, so some of your Cavalier athletes gave us their keys to a successful season in all eight varsity sports. Boys Golf: It may seem straightforward, but junior Will Pruthi says the key to the 2018 boys golf season is to “make as many birdies and pars as possible.” Pruthi also cited moral support among teammates as an important aspect. Last year, the team placed 4th in the State Championship. Girls Lacrosse: After last year’s 14-4 regular season, girls lacrosse had high hopes for the state playoffs but were knocked out in a 14-13 semi-final defeat vs Charlotte Latin. The Cavaliers will have to replace last season’s senior stars Hannah Pope and Madi Dunk, but the team is up for the challenge. 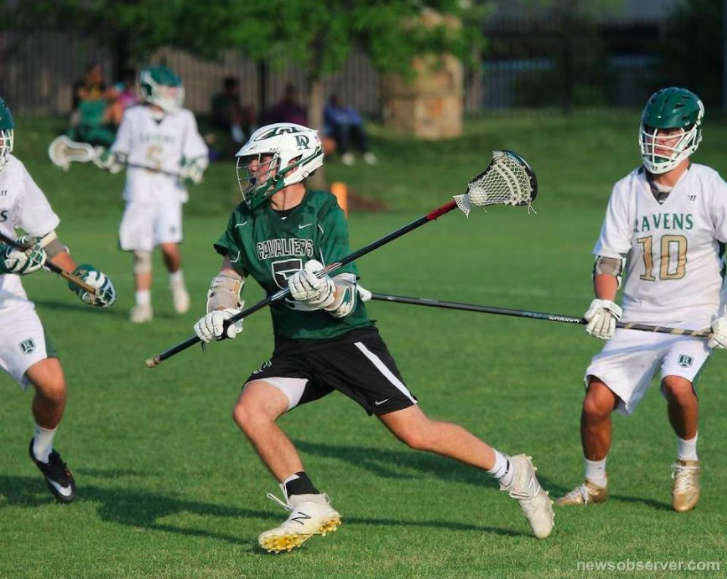 Boys Lacrosse: The boys lax team looks to make it back to the State Playoffs after grabbing the 7 seed in last years tournament, before ultimately falling to 2nd seeded Providence Day. DA returns two all-state performers in Tyler Carpenter and Shaffer Woody. Carpenter, a senior, said the key to the season was simple. “Enjoy the ride and stay committed. Boys Tennis: The tennis team has high hopes of a state championship this season, as they look to bring another tennis trophy back to Kirby Gym this year. Six seniors will be returning this year including future collegiate players James Shaheen and Priyan DeSilva, along with a strong core of underclassmen. Senior Jack McCallie stressed how the team needs to use their practices and early matches to gain “match experience” in preparation for the state tournament. Girls Soccer: A 14-2 record, TISAC championship, and semi-final appearance will give any team major expectations, but the DA girls soccer team is ready to take on any challengers. Senior Erin Dilweg believes that the team can be successful through “dedication, hard work, and mentality,” so we’ll see if DA can translate regular season success into a deep playoff run.